CPPA - What is Positive Psychology? The term “positive psychology” was first used by the humanistic psychologist Abraham Maslow in his influential 1954 book entitled Motivation and Personality. The phrase didn’t really catch on at the time, although humanistic psychologists wrote, and continue to write, about positive topics such as how people can be fully functioning and self-actualizing. The term “positive psychology” was reintroduced in 1998 by Martin Seligman, then President of the American Psychological Association (Seligman, 1999), who defined it as “the scientific study of positive experiences and positive individual traits, and the institutions that facilitate their development” (Duckworth et al., 2005, p. 630). In this sense, we can consider that positive psychology originated in theoretical and clinical work in the mid-20th century and experienced a renaissance in empirical work at the end of the century. Positive psychology focuses on individual strengths, well-being, and optimal human functioning (Duckworth et al., 2005; Linley, Joseph, Harrington & Wood, 2003). Instead of the traditional focus in psychology on how to help people with psychological problems alleviate their suffering, positive psychology considers how people can flourish under relatively normal conditions, and how to promote lives that are most worth living (Seligman & Csikszentmihalyi, 2000). The ultimate goal of positive psychology was summed up by Seligman in his Presidential address when he suggested that positive psychology might produce “an understanding and a scientifically informed practice of the pursuit of the best things in life and of family and civic virtue” (Seligman, 1999, p. 562). Two points about positive psychology bear highlighting. First, positive psychology is a science. This is what distinguishes positive psychology from pop psychology and simplistic advice such as the suggestion to “Think positively!” that is often found in self-help books. Such advice often has no scientific basis and can actually be counterproductive. Second, a focus on “positive” experiences doesn’t imply that “negative” experiences are unimportant in positive psychology. Negative experiences are integral to life. They help us grow and understand better how to live well. The importance of the negative side of life has always been recognized in positive psychology. In his Presidential address Seligman (Seligman, 1999) noted that we need to learn more about how positive outcomes “can develop out of painful life events” (p. 561). It’s important to recognize that many seemingly “positive” phenomena can lead to undesirable outcomes and thus fail to promote the best things in life. For example, self-help books often preach the value of self-affirmations such as thinking to yourself “I’m a lovable, worthwhile person”. 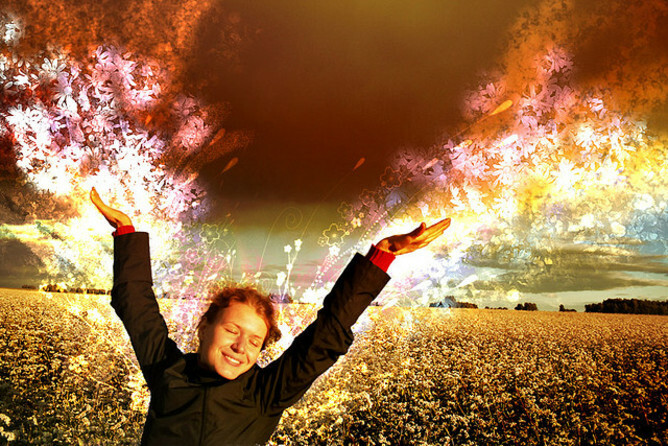 However, research demonstrates that self-affirmations can actually backfire. When people with low self-esteem reflect on self-affirmations their mood becomes worse, not better (Wood, Perunovic, & Lee, 2009). As another example, forgiveness is generally regarded as a desirable quality, and many popular books advocate trying to become more forgiving in our relationships. But again, uncritically trying to be forgiving can be destructive. For instance, women in abusive relationships who are more forgiving are more likely to return to their abusive partners and are more likely to experience increased psychological and physical aggression (McNulty & Fincham, 2011). On the other hand, phenomena that appear “negative” on the surface may, in fact, produce positive outcomes. For example, most people would prefer to be optimistic instead of pessimistic because pessimism is regarded as a negative quality. However, research shows that people who have a defensively pessimistic thinking style sometimes perform better than people who have an optimistic thinking style (Spencer & Norem, 1996). Particularly for anxious people, it seems that pessimism can sometimes be a desirable quality. Happiness is often considered a core concept in positive psychology, and for many people is an obviously desirable state synonymous with the “good life”. But even happiness warrants critical scrutiny. One aspect of happiness is positive emotions. Research demonstrates that when we’re in positive moods we rely more heavily on mental shortcuts and are less attentive to details (Schwarz, 2000). So, it’s possible, for example, that happy politicians, business leaders, and everyday folks might sometimes make less effective decisions than those in more somber moods. Indeed, research demonstrates that happiness is sometimes associated with poor decision making (e.g., Zarinpoush, Cooper, & Moylan, 2000). Also, although experiencing the positive emotions that characterize happiness may seem desirable, people who prefer to experience both unpleasant emotions such as anger in addition to pleasant emotions may be happier overall (Tamir & Ford, 2012). We should also consider whether it’s possible to be too happy? Research shows that people who score moderately high on a measure of happiness (e.g., 8 out of 10) attain higher levels of education, make more money, and are more engaged in politics than those who score a perfect score of 10 out of 10 (Oishi, Diener, & Lucas, 2007). Thus, the role of happiness in the good life, and the route to its attainment, warrants qualification and investigation. Questions about issues like these highlight the critical perspective adopted by positive psychologists, and underscore the difference between positive psychology and simplistic positive thinking. In the end, positive psychology can be understood as the scientific study of the good life. The counter-intuitive results of recent psychology studies, such as those noted above, make it clear why unreflective positive thinking is insufficient and potentially counterproductive in promoting the good life, and why a science of positive psychology is necessary if the good life is to be properly understood and achieved. Duckworth, A. L., Steen, T. A., & Seligman, M. E. P. (2005). Positive psychology in clinical practice. Annual Review of Clinical Psychology, 1, 629-651. Linley, P. A., Joseph, S., Harrington, S., & Wood, A. M. (2003). Positive psychology: past, present, and (possible) future. The Journal of Positive Psychology, 1, 3-16. McNulty, J. K. & Fincham, F. D. (2012). Beyond positive psychology: Toward a contextual view of psychological processes and well-being. American Psychologist, 67, 101-110. Oishi, S., Diener, E., & Lucas, R. E. (2007). The optimum level of well-being: Can people be too happy? Perspectives on Psychological Science, 2, 346- 360. Seligman, M. E. P. (1999). The president’s address. American Psychologist, 54, 559-562. Spencer, S. M., & Norem, J. K. (1996). Reflection and distraction: Defensive pessimism, strategic optimism, and performance. Personality and Social Psychology Bulletin, 22, 354-365. Tamir, M., & Ford, B. Q. (2012). Should people pursue feelings that feel good of feelings that do good? Emotional preferences and well-being. Emotion, 12, 1061-1070. Wood, J. V., Perunovic, W. Q. E., & Lee, J. W. (2009). Positive self-statements: Power for some, peril for others. Psychological Science, 20, 860-866. Zarinpoush, F., Cooper, M., & Moylan, S. (2000). The effects of happiness and sadness on moral reasoning. Journal of Moral Education, 29, 397-412. 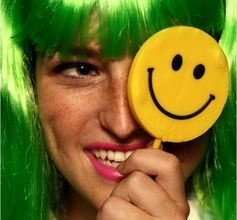 Perhaps because the word positive automatically brings to mind the insufferable yellow smiley face, the field of positive psychology is struggling to get the respect that it deserves. Two articles in the Fairfax press this year – (30 March and 1 September) – have reinforced common misconceptions about positive psychology – in terms of both what it is, and how it is applied. Positive psychology is not and has never been a “positive thinking” movement. Rather, it’s the study of what allows people to operate at the peak of their potential: to live longer and healthier, participate in more satisfying friendships and marriages, and have more engaging and meaningful careers. It’s also the study of what makes communities and institutions stronger and more resilient. In contrast to the way positive psychology is portrayed in the media, research within the area has explicitly debunked the notions that “putting on a happy face,” pursuing short-term pleasures and external rewards, or boosting self-esteem are effective means of creating long-term well-being at home, at work, or in schools. Positive psychology is more about finding meaning and lasting fulfilment. But books such as The Secret and The 7 Habits of Highly Effective People have bastardised positive psychology and regurgitated it into a crowd-pleasing and a multimillion-dollar “positive thinking” industry. And misunderstanding and ill-informed commentary have compounded the problem and produced a bitter backlash against the science. The source of this backlash’s power is easy to identify – it is ignorance about the field. Positive psychology is focused on understanding what enables us to flourish and achieve our potential at home, at work, and in schools. The field contrasts with the majority of work in the discipline of psychology which has traditionally focused on the goal of reducing illness and negative states. While understanding and alleviating sickness and depression is a worthy goal, it only addresses part of the well-being equation. Some of the findings are exciting and challenge our thinking on what it takes to live a happy and healthy life. One key set of findings is that the pursuit of money and status that so pervades our culture and political discourse is unhelpful in making us happy. People adjust very quickly to something that gives them pleasure or pain. A famous study of lottery winners and victims of spinal injuries found that while those who won the lottery were briefly much happier and those who became quadriplegics and paraplegics were briefly much less happy, everyone soon returned to their original levels of happiness. 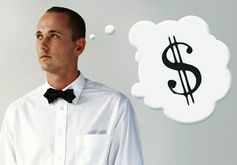 Seeking extrinsic rewards, such as money and status, doesn’t build lasting happiness, it simply sets us up to run on an addictive “hedonic treadmill”, which keeps returning us to where we started. Positive psychology research has found that long-term well-being is driven by cultivating trusting and nurturing relationships, having interesting and engaging work, and setting meaningful goals and feeling yourself progress towards achieving them. Another clear set of findings suggests that individuals gain at least as much, if not more, from building on their strengths as improving areas of weakness. Management research has found that even though problematic employees demand more attention, managers who invest the most time with their best people perform between two and three times better than managers who spend more time with their worst. Similarly, managers who create environments allowing employees to regularly exercise their talents have more productive workers and lower turnover. The findings don’t suggest we ignore negativity but create conditions where individuals and groups can thrive. These are only a few of the numerous findings from positive psychology that inform how we can arrange our lives, schools and workplaces to be more engaging, productive, and resilient. The express goal of the field is to bring an evidence-based approach to helping individuals cope with and grow from disengagement, isolation, depression, stress and trauma and take advantage of their collaborative ability, creativity, vitality to build wellness and to flourish. People who know the field know that it is not a positive thinking movement and that it doesn’t even focus exclusively on the positive but extends to the study of adaptability, strength, and growth out of hardship and failure. There are certainly legitimate critiques of positive psychology: the field is still relatively new and evidence is still being generated and integrated. And its focus to date has been on the individual and primarily in Western contexts. But most critiques have been levelled at the ways positive psychology is applied. As with any emerging movement, the tendency for some to sell services or write books under the guise of positive psychology but with only a cursory understanding of the field is ever present. And as with any field, there are increasing numbers of poorly-trained practitioners and consultants claiming to practise positive psychology without truly understand the research or the challenges of implementing its conclusions. Such consultants are likely to promise too much, deliver too little, and create resistance to change that could have been beneficial if positive psychology principles had actually been understood and implemented. But a few bad apples shouldn’t damn an entire field or the many qualified and competent researchers and practitioners who are implementing well-validated positive programs or testing new interventions to address some of the most pressing issues of the day.